1 About Tourism Industrial Management, Women and Children Securities in Tourism. 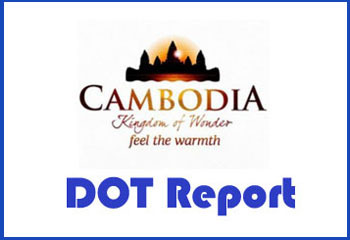 The systematic tourism sector is a prioritized sector determined in the third Stage Rectangular Strategy of the Royal Government of Cambodia. With the variety of tourism potentialities, Battambang province attracted national and international tourists to come to visit and stay. Tourism is a green gold which promoted domestic product growth, built socio – economic development, provided job opportunities, increased income, enhanced living standard and contributed to poverty reduction for the people. Tourism enjoys gradually progress advancing business and tourism services in Battambang province. – Total Tourists Number: 618, 139. – Domestic Tourists: 519, 835. – International Tourists: 98, 304. Conclusion: Income got from national and international tourists coming to visit in Battambang province in 2017 are about 36, 805,190 US dollars. The income got from the tourists coming to visit in Battambang provided direct jobs for people are about 3, 680, in which 2, 014 are women, and provided indirect jobs are about other ten thousands . Room with one bed: 845 rooms. Room with two beds: 1, 130 rooms. Room with two beds: 365 rooms (in which guest houses made license with the Ministry of Tourism are 05 places). Restaurants and food stores consist of 79 places with total tables of 972 and chairs of 4, 205 (in which restaurants made license with the Ministry of Tourism are 01 place). Karaoke consist of 20 places, equal to 194 rooms. (Delegated to provincial administration). Massage and Spa: message shops consist of 06 places, equal to 43 beds. (In which message shop made license with the Ministry of Tourism are 01 place). Bars consist of 03 places (Delegated to provincial administration). Tour guides consist of 01. Tourism agencies consist of 04 branches (Licenses issued by the ministry of tourism). Land transportation companies consist of 16 branches (Licenses issued by Battambang Department of Public works and Transport). Water transportation companies consist of 06 branches (no licenses). Total number of international tourists coming to ask information at Battambang Tourism Information Center. The total number of national and international tourists, visiting Wat kor village in 2017 is 2, 585, in which 1, 461 are women. Cambodian laborers entered into Thailand are 2, 736, 135, in which women are 1, 433,484. Cambodian laborers leaved from Thailand are 2, 694,468, in which women are 1, 404,023. Thailand dispatched Cambodian illegal laborers to Cambodia are 451 times, total numbers are 51, 889 people, in which women are 20, 492 and children are 427. National and international tourists leaved from Thailand to Cambodia are 234, 380, in which women are 126, 123. National and international tourists leaved from Cambodia to Thailand are 233, 444, in which 125, 195 are women. As the above informed, please general public be known as report.